Hi Friends! 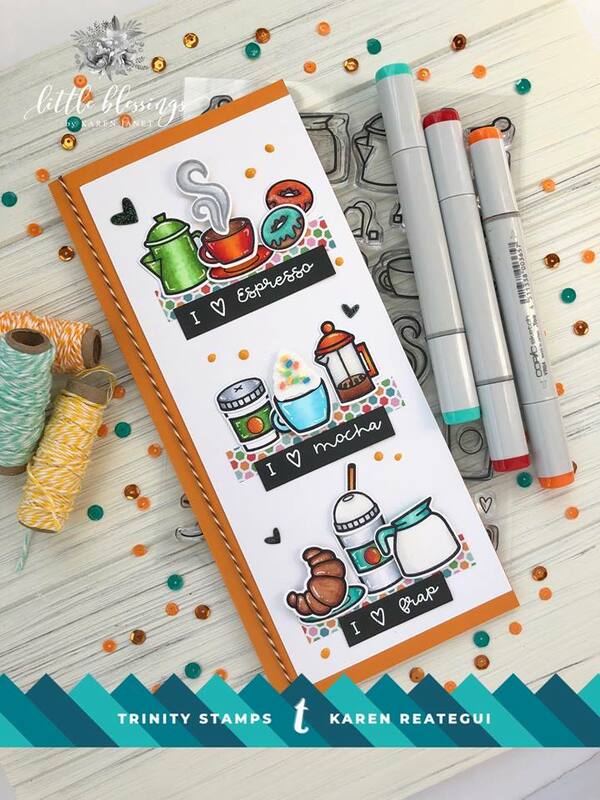 We are excited to participate in the National Coffee Day Blog Hop with the Coffee Loving Cardmakers! In order to start at the beginning, please click here to see all the participants, prizes, etc. Don’t miss out on all the fun!! 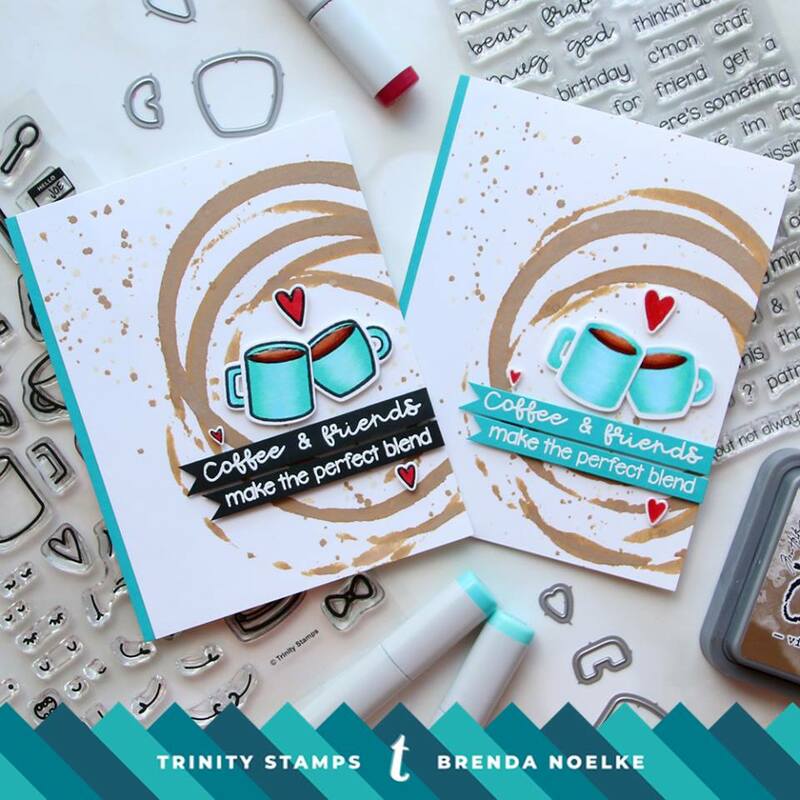 Our Design Team created some amazing projects using our Coffee with Character stamp set & coordinating dies and the Caffeinated Sentiments stamp set. 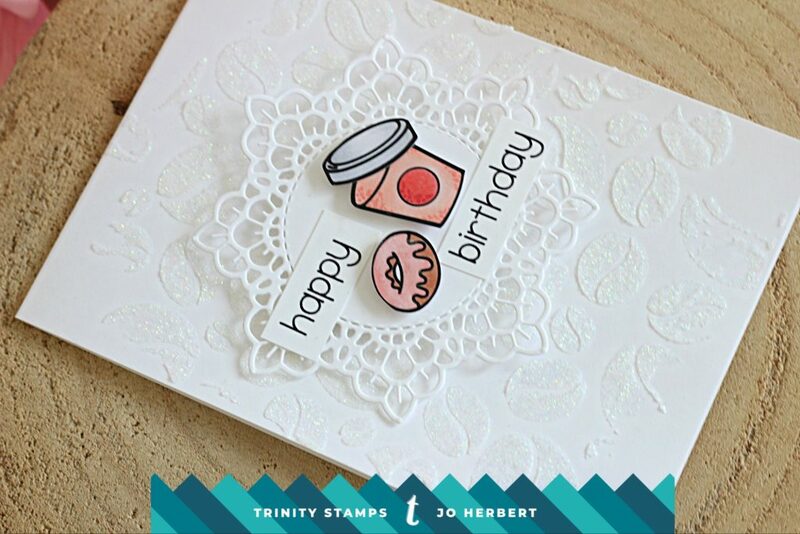 We hope you enjoy the projects today, be sure to comment below for a chance to win a gift certificate to the Trinity Stamps shop! Here are the Design Team Projects. For more details on their projects, please stop by their blogs by clicking on their names! Thank you so much for stopping by! We hope you enjoyed the inspiration & don’t forget to comment below to enter to win! 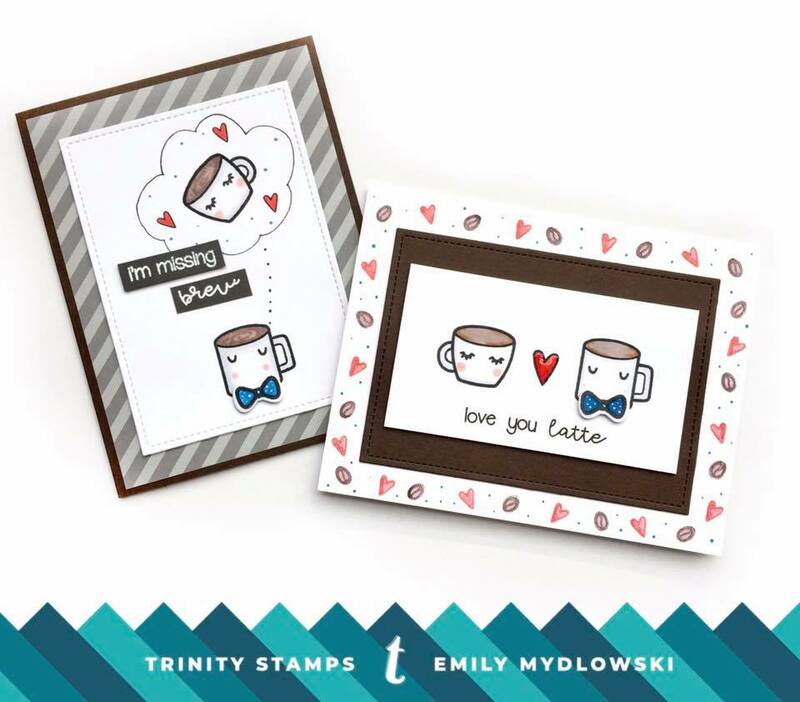 Coffee with Character: One Stamp, Three Ways with Designer Emily! 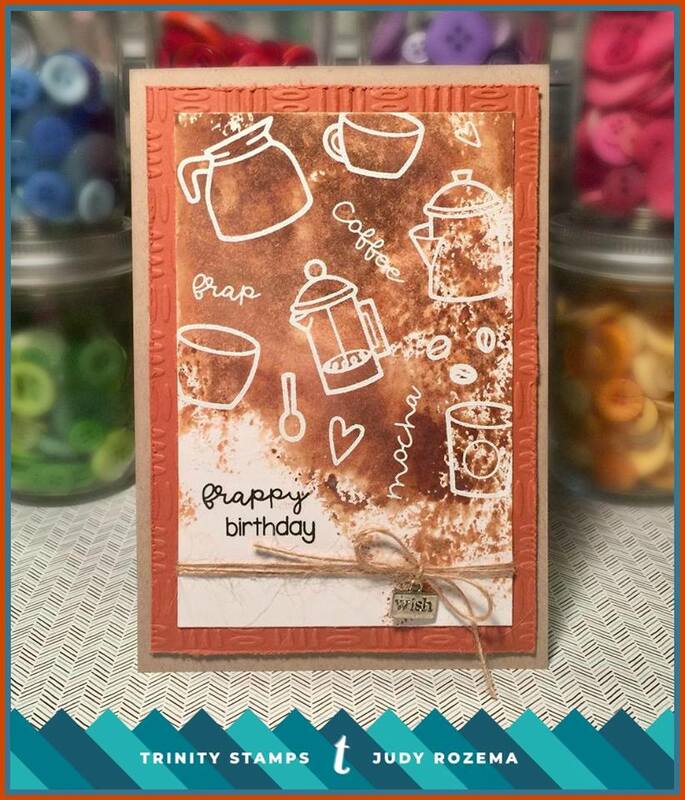 Great coffee themed cards! I really like Karen’s tall card and Jo’s white on white background card. awesome cards – LOVE the colors!!! There are a lot of wonderful cards for the blog hop out here! I think I dig the succulents in the mug the most! Such a fun idea!! Thanks for inspiring us! BTW, I am really enjoying my bouquet of hope stamp set and am gonna try to mask the flowers and put a coffee ☕ mug in her hands! Tons of gorgeous cards! Happy Coffee Day! Oh my, so many awesome cards! Happy coffee day to all! Lovely work on all of these DT creations – Thank you for being a sponsor! I just love the clever ways these tiny images have been used. Thanks for the creative inspiration! Oh my so many gorgeous cards! Love them all and all the fun colorful cups. Beautiful job and thanks for being a sponsor! Nice variety of coffee cards! All of these cards are just amazing and awesome. I love how Emily stamped her own border; it’s cute! Great projects! Thanks for hopping along with us! Off to head over to your teams blog post! PS…I can’t get to Christine’s post! AHHHH! Such new and fresh stamps – really love the style of them! Thanks for a chance to win and thanks to all the wonderful designers for incredible inspiration!!! Like the variety. Like the backgrounds with wonderful staining look. Like the coloring. Like the CAS with style look. all the design team projects are amazing! Such wonderful and creative cards. Thanks to everyone for sharing your talents. WOW! such FANTASTIC designs from the Design Team! LOVE them ALL! Just darling cards. Great stamps, patterns, and designs. Thanks for the inspiration!!! Amazing variety of coffee-themed cards! I just love all these fun stamps. Beautiful cards. Very creative. Thanks for the inspiration and for being a sponsor. I love all of your beautiful coffee cards! They are all so bright and fresh and colorful, and they look amazing! 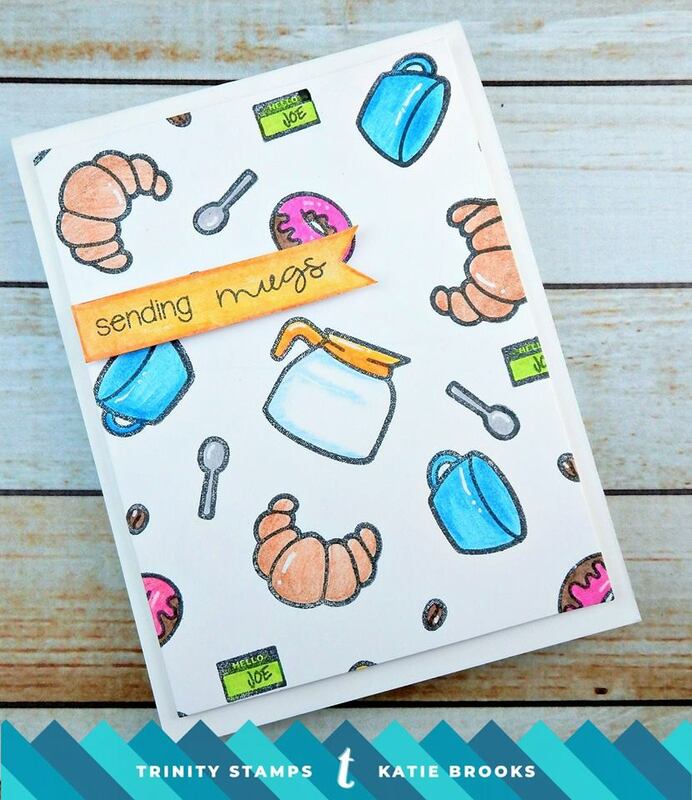 Great backgrounds and assortment of coffee cards from your design team. Thanks for sharing with us and being a super sponsor for this BlogHop. Such lovely cards! FUn stamps! So many fun cards! Loving each design. Happy Coffee Day! What wonderful projects! So much fun! So many awesome coffee cards! Wonderful cards. Thank you so much for the beautiful inspiration. Fantastic cards! Your DT created some major awesome cards! I am being so tempted right now to Buy! Buy! Buy! I just wish I had some money right now to buy anything! time to save! LOL!! 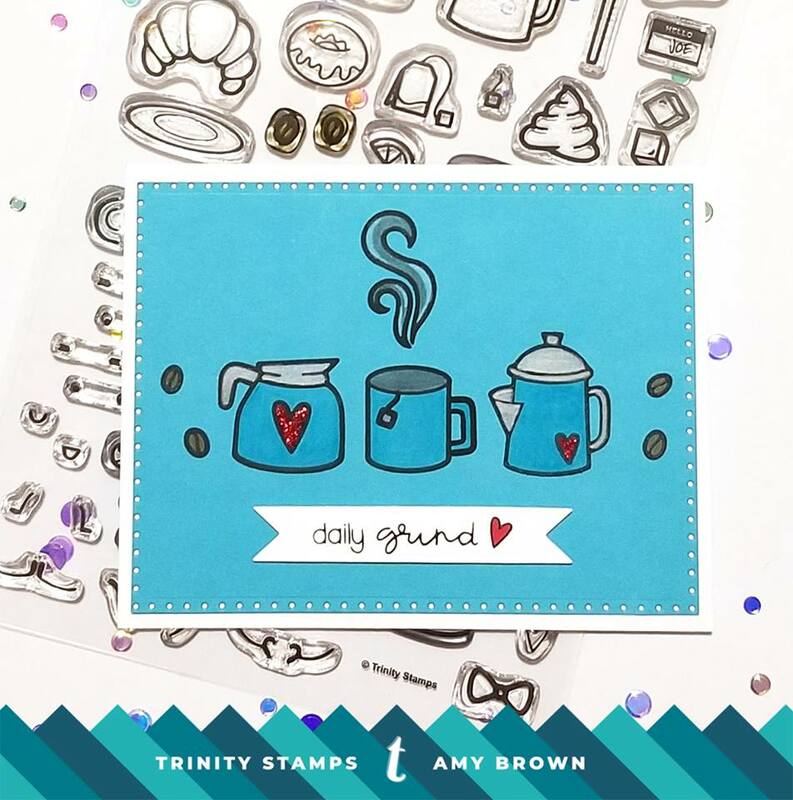 Each DT Member has shared a beautiful showcasing of the lovely Trinity Stamps. I enjoy seeing how each person creates so uniquely. It’s truly awesome. Thanks so much for supporting this fun event. Wonderful cards! Thank you for the inspiration and the giveaway! seriously how amazing are these cards! Wow! What fantastic projects by the DT! Love them all! Much inspiration here! Thanks so much for being a sponsor! Lovely card designs!! Thanks for being a Super Sponsor!! Fantastic projects. Karen and Emily just blew me away with their cards – such fab and fun designs! Thanks so much for sponsoring this fun hop! I love the way your DT used smaller stamped images in such a creative way. Love the warm feel of Karen’s design and Amy’s adorable card as well. Wow these images are so cute and I love the smaller format…more goodness to fit on one card. Lovely cards!!! And those stamps are a must have!!!! Oh my heavens, I love these cute little stamps!! They made fabulous cards 🙂 Thanks for the wonderful inspiration! Wow – these projects are so amazing!! Such talented ladies — you all inspire me!! These samples are wonderfully inspiring. Thank you for sponsoring this special blog hop. I’m so sorry, I’m not sure if my commented posted. Each card is so awesome and I thank you for sponsoring. There’s so much to see here. This is one great stamp set! Your designers are so talented. I needed some inspiration for those small stamps! Great work, DT! Such fun cards! Love all these coffee-themed stamps! Fantastic creations by the design team. Amazing projects! So many cute cards! Great job! Cutest cards ever!! I am really loving Karen’s beautiful card and Amy’s adorable design. These sweet coffee stamps would be so fun to play with. These cards are so awesome! Love them all! I love these cute little stamps for card making. Thanks for sharing. I for sure enjoyed looking at all the cards. Love your samples. Thanks for the inspiration. Your fabulous products are showcased wonderfully by your DT, each in their respective style that allows them to shine! I can tell they had fun creating their projects; they’re infused with joy! Loved all the cards and left them all some love! Great projects! Thank you for sharing your DT’s talent with us! Wow, I am so impressed by this team! Each one of these cards are top notch and so inspiring. Thank you so much! Cute and colorful card designs! mmmmm. donuts!!!! so many great designs! WOW… they all are AMAZING projects from the team. What a great assortment of cards. Such creativity from everyone. Thanks for sharing with us. Such fun and amazing cards! That stamp set is so cute! These are all so lovely! What a wonderful showcase of the stamp sets.